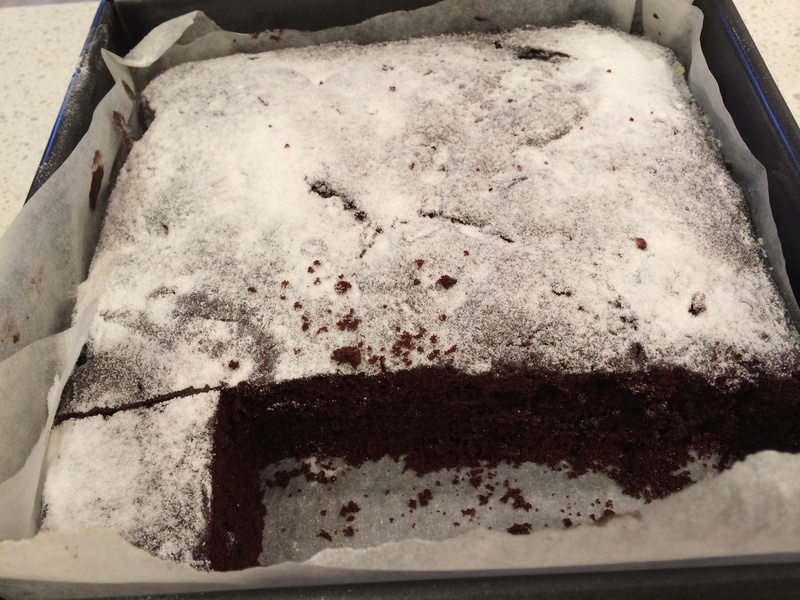 Oops ate a piece before the photo could be taken! Just received a new recipe book and chip “Cooking for me and you”. This book and recipe chip caters for gluten free and vegetarian diets and specifically created for two person meals, we figured adapting for a family wouldn’t be too difficult. 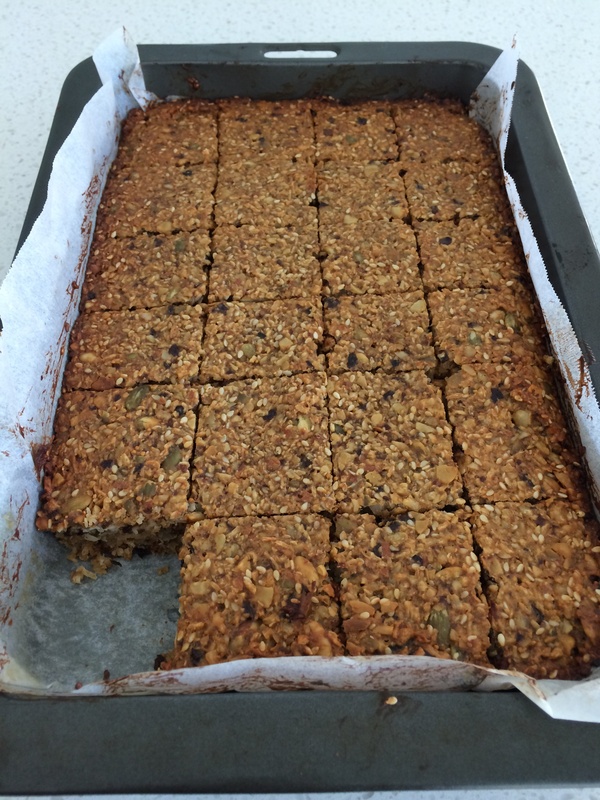 The guided recipe above was made for kids afternoon tea today, called ‘breakfast bars’. This slice is a highly nutritious combination of nuts, seeds, and dried fruit. Used prunes instead of apricots, other ingredients ..figs, assorted nuts, 3 eggs, pepitas, sesame seeds, sunflower seeds, coconut and maple syrup . Not very sweet because I reduced maple syrup from 60g to 35g. Probably add some chocolate chips for the kids next time as there were no ahhhs today ! But it’s certainly healthy and simple to put together and it will be great for their lunchboxes.